When was the last time you upgraded your ERP system? Not just patched, fixed or tinkered with it—but implemented a substantive upgrade that enabled real business innovation, generated excitement and unleashed a wave of ideas and productivity from your users? 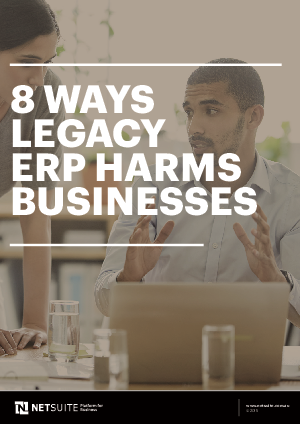 Download this whitepaper to learn 8 ways your legacy ERP system is harming your business and how the NetSuite solution can help.